If you were lucky enough to see Mark Evanko’s recent presentation at AFCOM Data Center World in Washington DC, you are likely fully aware that Cloud vs. Onsite discussions are put to rest with the idea of a Hybrid Solution as the only way to move ahead. 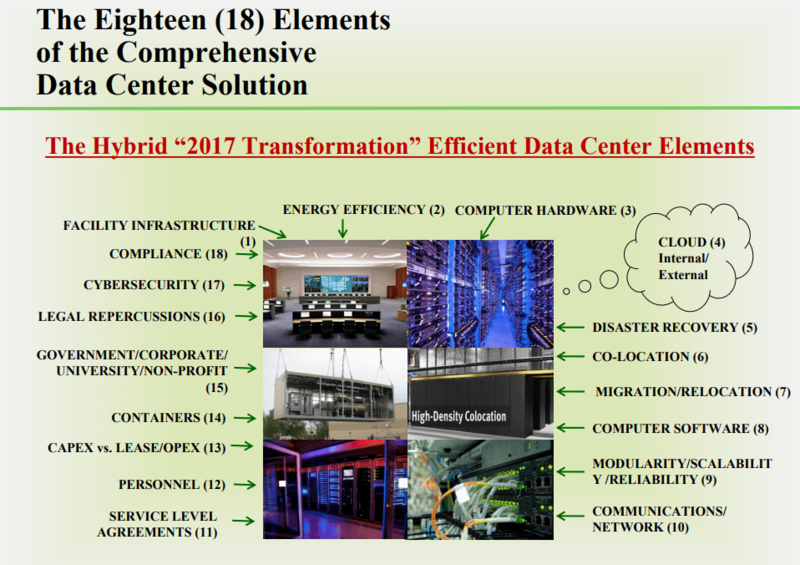 For Enterprises to success in their Data Center Space they must consider a multitude of elements which leads them to their own custom Hybrid Solution. We would like to link over to a version of Mark’s presentation from earlier this year. Please don’t hesitate to complete our RFI form to connect to BRUNS-PAKs team immediately!